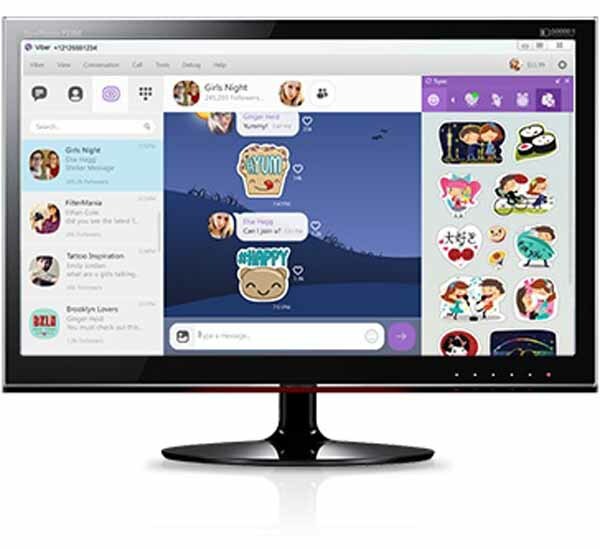 Free download Viber latest version for PC Desktop Windows, Mac and Linux. Viber for Desktop lets you send free messages as well as make free calls to other Viber users, on any device and network, in any country! All the stickers from your mobile phone, now on your desktop. Just click, sync and send. Check out our Sticker Market! Browse through a variety of stickers featuring our brand new characters. Download and send playful stickers, making it easier than ever to have fun with messaging. Follow Public Chats to peek inside the chats of celebrities, personalities and other public conversations on Viber. With over 360 million users, Viber is now available for Linux as well. Download the Debian installer now to get the full Viber experience on your desktop. Download Viber, enter your phone number, and start connecting with your friends.